A Lincoln City football fan and local student has created a short documentary about what it means to be an Imps supporter. The student documentary has been created by ex-Lincoln City Manager, Chris Moyses’ daughter, Ellie, and her work partner Adam Nisbet. It shows behind-the-scenes footage of the non-league football club and the community that lies within. The video shows interviews with both fans and people involved with the team including Manager Danny Cowley and Club Secretary John Vickers. Entitled ‘The Pursuit Of IMPerfection’, the short film also looks into the fans and how ‘close-knit’ they are. 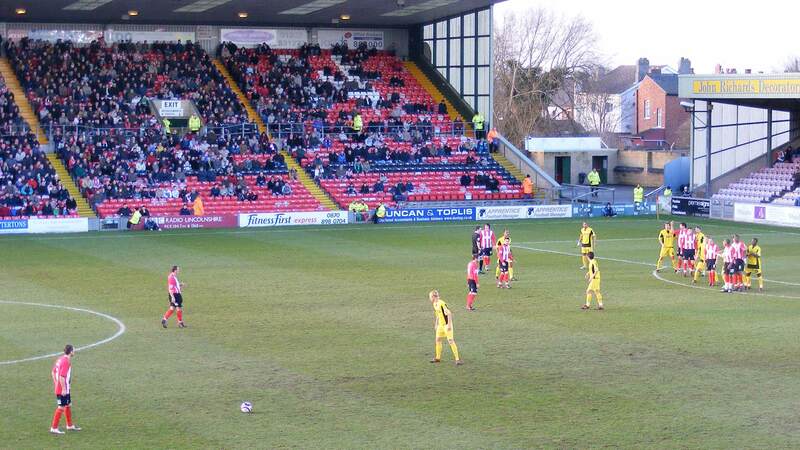 Gary Hutchinson, Club Mascot and fan said: “Lincoln City is different to any other smaller clubs. Ellie, 19, who currently studies Level Three Extended Diploma in Creative Media Production at Lincoln College, worked on the documentary with Adam, 25. She said: “For our first topic of our final year, we were given the topic of documentary, where we had to plan, produce, direct and edit a documentary on a topic of our choice. “We felt it was important to show people what supporting Lincoln City was all about because we wanted to show that football isn’t just about what happens on a match day. “My dad has been involved with the club since 2011, but also was a player in the early 80’s. My older brother Sam went through the youth academy at LCFC in 2004, as well as my younger brother Archie, who is now a scholar and plays for the youth team.